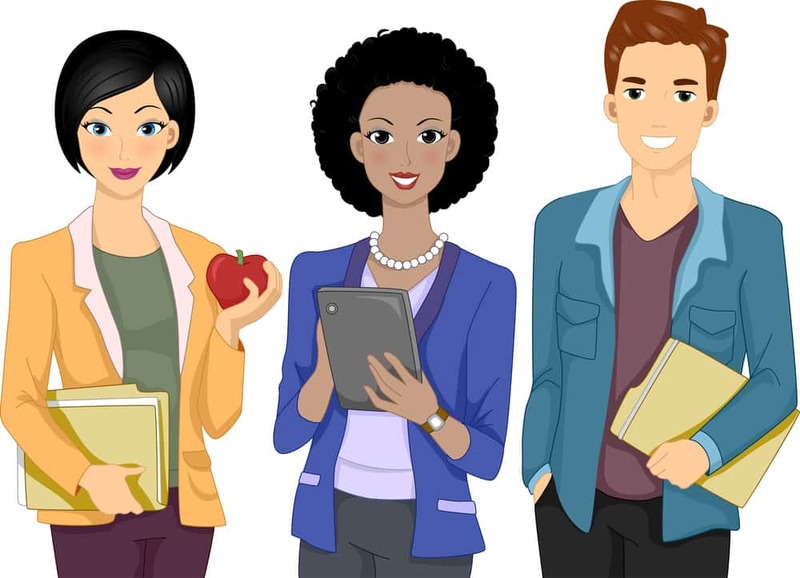 Whether you are an experienced elementary education teacher or are new to teaching, this sample for a first and second grade teacher and key words below will help you write or improve your teacher resume. Unlike office jobs, you will be hard pressed to find job ads for a school teacher, if any. But, you will still need to use the right keywords. Here are a few to get you started. 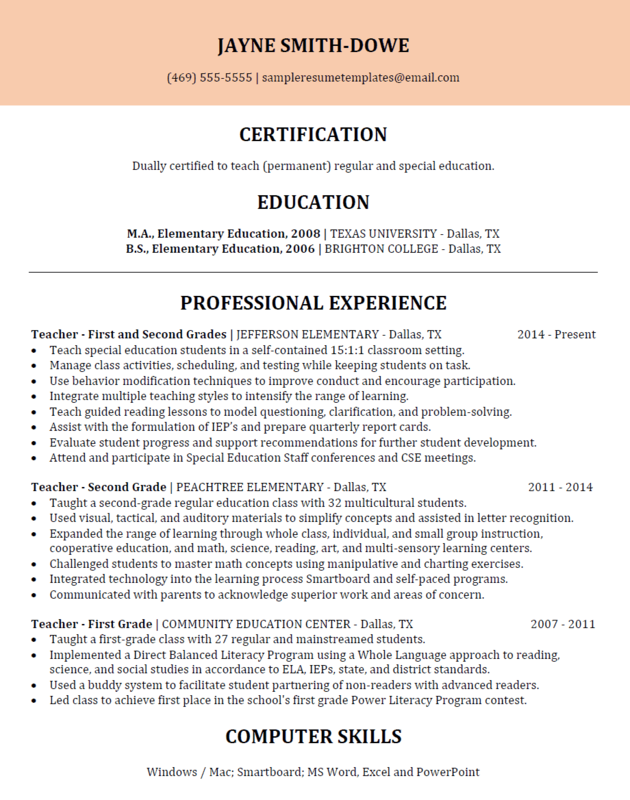 An elementary teacher resume should list the objective statement (optional), certification section, and education section first. The professional experience section is the third or forth section, depending. The focus should be on the type of classroom you teach such as regular or special education, the size of the classroom by mentioning the number of students, and anything important about the curriculum, such as IEPs. You should also mention the routine, such as working with resource room teacher, pullout teachers, push-in teachers, and members of a Committee On Special Education (CSE). Be sure to detail the types of lesson plans and units you prepare and teach, and how you deliver it. For example, team-teaching or split schedule. Do not make the mistake of simply writing, “prepare and teach lessons in all subject areas” because that is a given. Every teacher resume has that information, so you will want to differentiate yourself from your competition. Speaking of which, use key word to show how you teach, such as differentiated instruction, cooperative education, and learning centers. Also show how you get involved in after school programs and school-wide events and activities, such as curriculum development and PTA meetings.